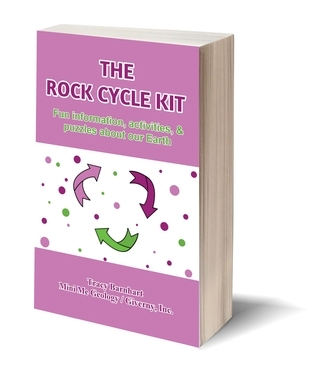 Jump into the spinning Rock Cycle with this eBook from Mini Me Geology. This 36 page, full color eBook that will teach you about the properties of rocks and minerals, how the Rock Cycle works everyday throughout our Earth and helps you to learn about geology through activities and puzzles. You will be fascinated how minerals turn into rocks; rocks turn into different rocks then break down again into particles of sediment ready to begin the cycle again. The eBook includes information about 20 different rocks and minerals and uses the properties of those samples to explain the Rock Cycle processes. The eBook also includes rock and mineral flow charts for identification activities, pages to create your own geologist’s notebook and activities and word puzzles.